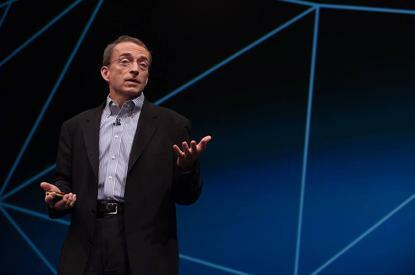 As the telecommunications sector aligns its 5G strategy, VMware CEO, Pat Gelsinger, said the 'real' build will take shape in 2020. "I've said this now for a couple of years, and the longer it goes, the more I think I'm right - whether it proves that way or not we'll see, but I say the real 5G build will get started in 2020," Gelsinger said. "We're building the architectural patterns, curve points and early customers that are going to be the big architectural shifts for 5G. So when the real build out, new spectrum, antenna, backhaul, services and use cases occur - I see that happening in 2020. "We're out to be the platform of choice as people build their NFV infrastructure. For that, we now have six of the 10 largest telco's in Europe, and now on VMware NFV platform we're scaling some of the use cases, applications (VNFs). "We now have 100 of those running on the VMware platform, and we have widths across Asia (through NTT) and the US." Gelsinger hinted that VMware had already begun working with Australian telcos, for example, but wasn't able to name which ones have signed on to network function virtualisation (NFV) products, saying it shouldn't be a surprise. VMware already has a tight partnership with Telstra, who was one of the first few partners to sign on to VMware Cloud on AWS. In September last year, Vodafone Group entered into a software licensing agreement with the vendor, designed to offer increased access to a range of products, while supporting the global roll out of NFV to help improve delivery of future products and services. At VMworld 2018 in Las Vegas, Gelsinger pointed out the telco area was a hot spot in the community full of enormous opportunity for virtualisation. “Data centres and cloud today are more than 80 per cent virtualised,” Gelsinger said. “The telco network is less than 10 per cent virtualised - it’s an industry almost as big as our industry, that’s entirely ‘un-virtualised’ and we have an enormous build-out coming with the emergence of 5G networks." Gelsinger said the business was seeing some early wins in the market, mainly helped on by the technologies the developer community has already curated. “We’ve laid out a pathway to take these mature virtualisation products - vSphere, NSX and vSAN and bring them into the telco space,” he said. “Telco is super concerned with operational robustness and downtime, we solve those. "We’re going to be quite successful in this space, but we have to prove with our products that the value is there in what we deliver to the industry." VMware’s intent to gain further grounds in this area was particularly highlighted with the acquisition of Dell EMC’s technology and team behind its Service Assurance Suite in early August. This particular software caters to network health, performance monitoring and root cause analysis for communications and service providers - this also slots in well with VMware’s Telco NFV portfolio, which Gelsinger said was gaining momentum. Gelsinger also took the time to reiterate his stance on the ‘superpowers’ of technology being cloud; mobile; artificial intelligence; and edge, Internet of Things. "These super powers are shaping every aspect of society from healthcare to education, transportation and financial institutions,” he said. Zoning in on its multi-cloud ambitions, Gelsinger highlighted two particular paths in ‘hybrid’ and ‘public' clouds. “These paths are complementary to co-existing, but today each is being driven by unique requirements and teams," he explained. "Hybrid cloud is being driven by IT and operations with the public cloud being driven by developers and line of business requirements." Gelsinger also pointed out that VMware has more 15,000 customers on vSAN and along with VxRail, they were becoming the standard for hyper converged infrastructure. More than 500 cloud partners are using vSAN in their solution, he added. “This technology is potentially becoming a critical role in how businesses interact with each other,” he said. “This is not just another blockchain implementation. Amazon Web Services CEO, Andy Jassy, joined Gelsinger on the keynote stage during VMworld 2018, discussing the availability of Amazon Relational Database Service (Amazon RDS) on VMware. Amazon RDS on VMware is a service that sets up, operates, and scales databases in VMware-based software-defined data centers and hybrid environments, and migrates them to AWS or VMware Cloud on AWS - it will be available in a few months. "We’ve got hundreds of thousands of customers using this because it makes it much easier for them to set up, operate and scale their databases," Jassy added. "This is a good example of how we’re deepening our partnership and bringing what customers want to innovate on their behalf. "It will bring all the capabilities of RDS to VMware customers on their on-premises environments." In further news, Dell and VMware will also provide customers with access to “ready to work” solutions through Dell Provisioning for Workspace ONE - employees will have access to pre-installed Win32 applications on Dell PCs. This comes as VMware announces more enhancements to the intelligence-based workspace platform such as new end-user services to enable app innovations through notification-based actions, integrated contacts, simpler search and enhanced experiences for employees through new capabilities. Furthermore, this involves a beta experience of Workspace ONE Notebook app, expanded Workspace ONE SDK and new Boxer enhancements. It has also made Workspace ONE AirLift connector generally available to Microsoft System Centre Configuration Management (SCCM), allowing customers to speed and de-risk the transition to Windows 10 modern management that spans the entire PC lifecycle.